On Saturday June 28th Bob Gilson moved on to his next stage in this eternal journey. Bob had been formally diagnosed with Alzheimer’s in March of 2012 but had been demonstrating elements related to memory loss and the early stages of dementia for several years prior. The Apostle Paul said, “Know ye not that they which run in a race run all, but one receiveth the prize? So run, that ye may obtain” (1 Corinthians 9:24). Having run the good race it was time and so we take a few minutes to review what from our point of view as his family and friends was one heck of a race. Born in Niagara Falls Bob moved to Calgary at the age of 11. His family would maintain the same house in the Renfrew community for the remainder of his parents Bob Sr, and Eva Gilson’s life. Bob had two sisters, Arlene (older) and Mary- Jayne (the youngest) and one brother Bill. He is predeceased by his mother and father and brother Bill. At one point in life Bob gave some consideration to becoming a catholic priest, after spending Gr 8 and 9 out in Brockville, Ontario he returned to Calgary to complete his high school education first at St. Mary’s High School (Gr 10) and then at nearby Crescent Heights High school where he met Marilyn (Johnson) Gilson, any plans to be a priest were concluded at that time and on May 12, 1958 they were married in at Our Lady of Help Chapel. A family quickly followed with Rick, Dan, Jamie and Randy added by January of 1966. The four boys would keep things hopping in the house for many years to come. Bob worked for the Calgary Albertan from January of 1954 until 1972 holding several positions he began in the composing room, was circulation manager and classified advertising manager in the course of his employment. While circulation manager he was most proud of the carrier training program and the competitions he developed to increase circulation. As the Albertan was the morning paper that become the Calgary Sun, Bob worked with Calgary police to help train carriers to be observant citizens, he indicated that his carriers had provided police with many tips and several received citizenship awards from the city for their work. Bob expanded this program to feature students of the week from Calgary high schools and had a culminating celebration to recognize the Student of the Year at the Palliser Hotel. Bob was heavily involved in scouting at several stages of his life, himself a Chief Scout and Queen Venturer he had several opportunities in his life to hold positions within scouting and went on to be a national trainer in the scouting organization. Be prepared, do a good turn every day, be a good citizen, work, were core values all initially developed in scouting. On February 22, 1964 Bob was baptised as a member of The Church of Jesus Christ of Latter-day Saints. This was not a decision he took lightly having been raised in a Catholic home, in fact he had met with missionaries on and off virtually since the marriage in 1958. Bob had developed so many strong relationships with missionaries, even mission presidents of the Canada Calgary Mission that his baptism was very well atte nded. In June of 1965 Bob and Marilyn were sealed in the Cardston Alberta Temple. In the teachings of the LDS church this key ordinance referred to as sealing, allows a husband and wife to be together for eternity, the traditional phrase often heard in weddings, “till death do us part” is no longer the limit where a temple marriage or sealing has taken place. 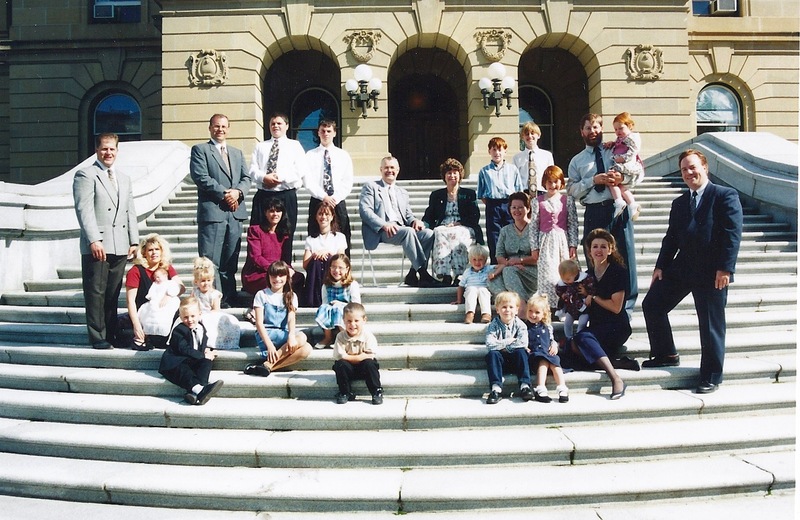 Bob’s last assignment in the church, one he held most dear, was as a worker in the Edmonton Alberta Temple helping others complete the necessary steps to enjoy the same blessings of an eternal family and eternal marriage. In the summer of 1974 Bob took the family and moved to Edmonton, Alberta to pursue an opportunity with a new publisher. This was short lived and followed by a brief career in Real Estate. In 1976 Bob took a position as manager of Apex Auto Upholstery where he remained until 1984. This was at the height of the boogie van customization craze and Apex lead the way in the Edmonton area perhaps the most memorable being the Star Wars van complete with little fridge in a mock up of R2D2. Bob returned to the newspaper industry with the Red Deer Advocate Newspaper chain from 1984-90, during this time he commuted to Red Deer on Monday mornings and return early Friday to allow the younger boys to remain at Ainlay, and the family to remain in Edmonton. A man of several hobbies but in each instance when he had that hobby he was all in, these years were the golf years…perhaps because it was pretty easy to golf Monday – Thursday night when the rest of the clan was in Edmonton. Returning to Edmonton Bob worked for a number of companies; Netmar (advertising), Open Concepts (Computer service), Best Works (Advertising/Promotions), Debaji’s (Bakery Manager, Catering Dept), and Paladin Security to bring his work career to a close as he officially retired in 2003. 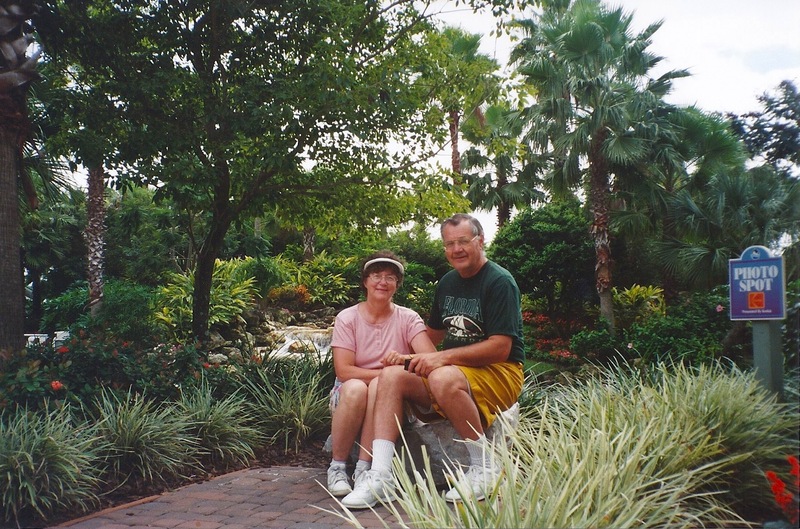 With “paid work” behind him, the idea of sitting around was not quite in the plans so Bob and Marilyn determined it was time to head out on a “seniors mission” for the LDS church. 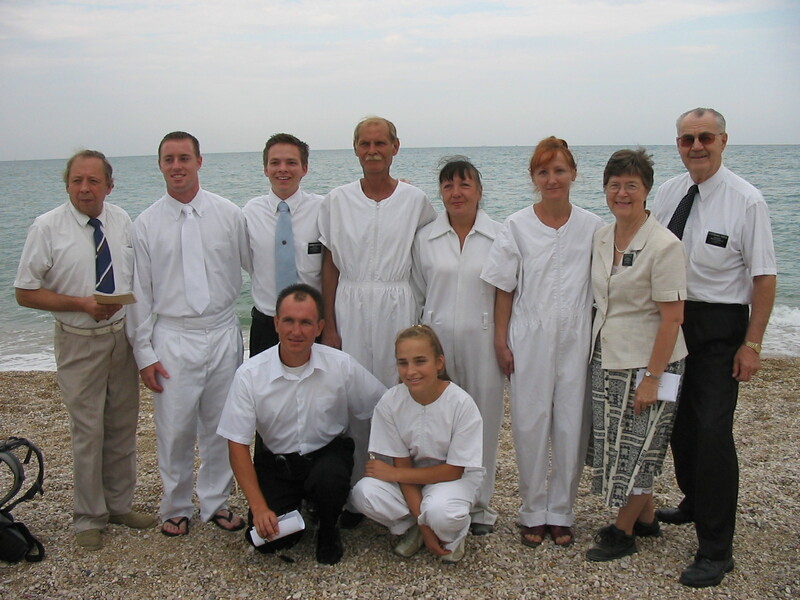 While Bob may have hoped for a posting in someplace along the the church history trail such as Nau voo, Illinois that was not to be case and from 2003 to 2005 they headed to Donetsk, Ukraine for two years. 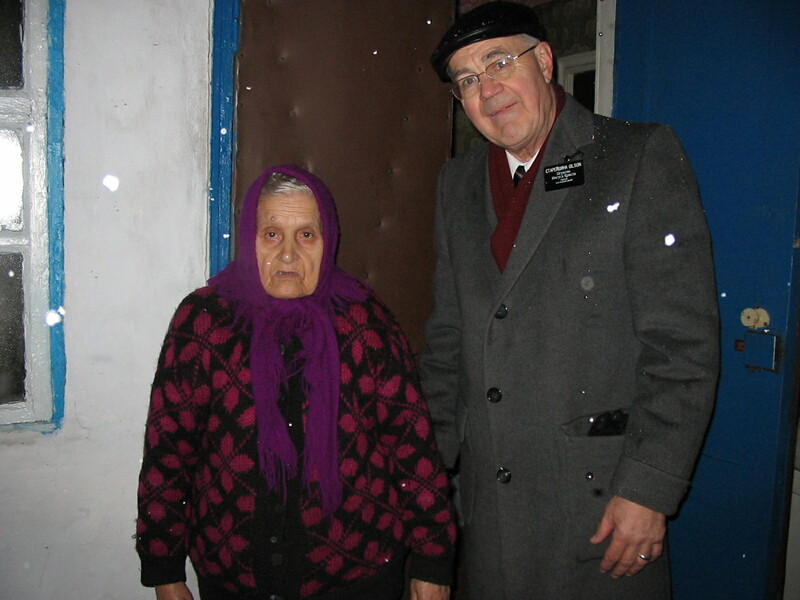 While on the mission the language did not come easily to Bob so he relied on the young missionaries to translate for him as he taught and provided leadership examples. His years of service stood him in good stead as he was always looking to help others, seeing the need before others but inviting everyone to share in the fun. B ob had helped introduce Bitty-ball (basketball with lower baskets for little ones) in SW Edmonton and managed to get a shipment of basketballs from Germany to the mission in the Ukraine and started bitty-ball there…the standard was set and missionaries that followed have been involved in teaching Bitty-ball. 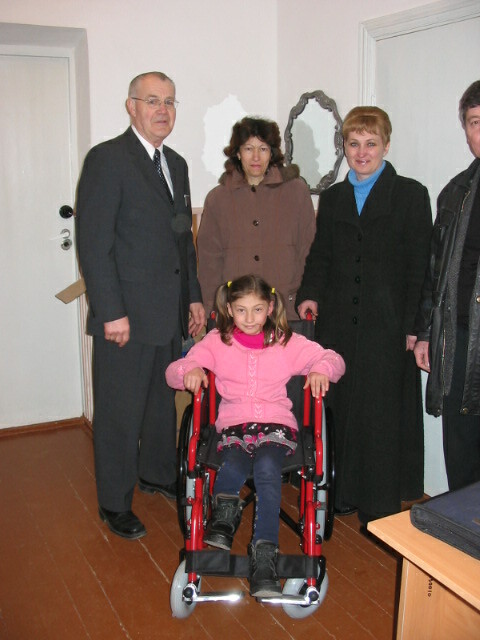 While teaching others and inviting them to be baptised and join the church is a primary focus of all missionary work Bob provided great service in leadership training, helping to facilitate charity humanitarian work such as the red wheel chair project and genuinely enjoyed working with the great people of the Ukraine and Crimea. Shortly after returning to Edmonton Bob and Marilyn would serve a second mission in the Edmonton Canada Mission assigned to particularly work in the area of Wainwright supporting the members and working with families while they commenced working in the Edmonton Temple it was a period of great enjoyment and service for both of them. Through all of these years of work and service family has been at the core of the good times. The four boys, 19 grand children and as of this point seven great grand children brought great joy, there are pictures of just about every child and grand child at some point in life up on dad/grandpa’s shoulders. His laugh as he wrestled, chased, tossed up in the air, played in the water, is counted among the choicest of memories by all of the children and grand children and great grandchildren. 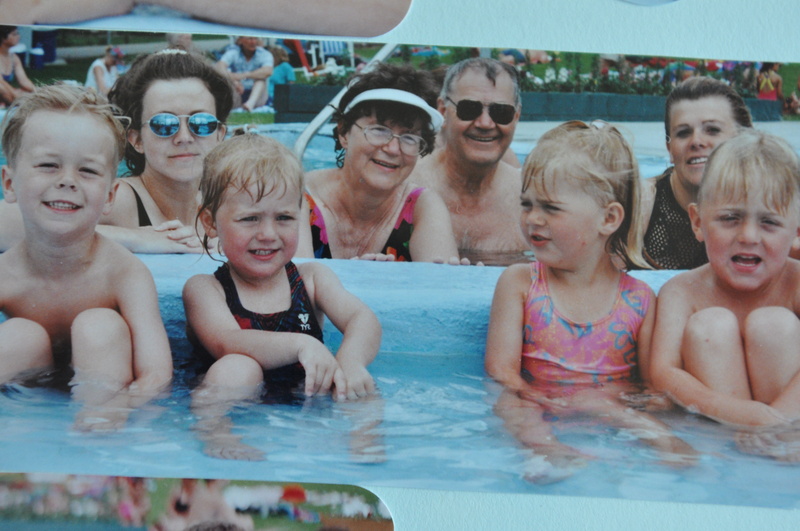 Whatever, whenever, Bob was happy to sp end time with the children and holidays at the lake (Shuswap in the early years, Fairmont in the later years), or trips with various family members to Disneyland, Disneyworld, Hawaii, Florida, Mexico, Panorama, were all enjoyed as more time with Grandpa. Needless to say for a number of years on Christmas Eve it fell to Gran dpa to play the very critical role in the family enactment of the Nativity. Yes Bob Gilson was a great donkey – and as the number of little granddaughters grew and each granddaughter needed their turn as Mary…that donkey got a heck of a workout. The memories are countless, and that’s the way it is supposed to be. Bob Gilson loved his wife Marilyn, they didn’t run on the same schedule as far as time went their entire mortal life together but that was a great part of the fun. As a couple they set an example in so many ways for so many people of the value of work, service, great cooking, the importance of family and Marilyn will continue to live that example in the many years to come. Bob Gilson was a great example in so many ways, he was self taught, he was a worker and a builder; a builder of self and others. 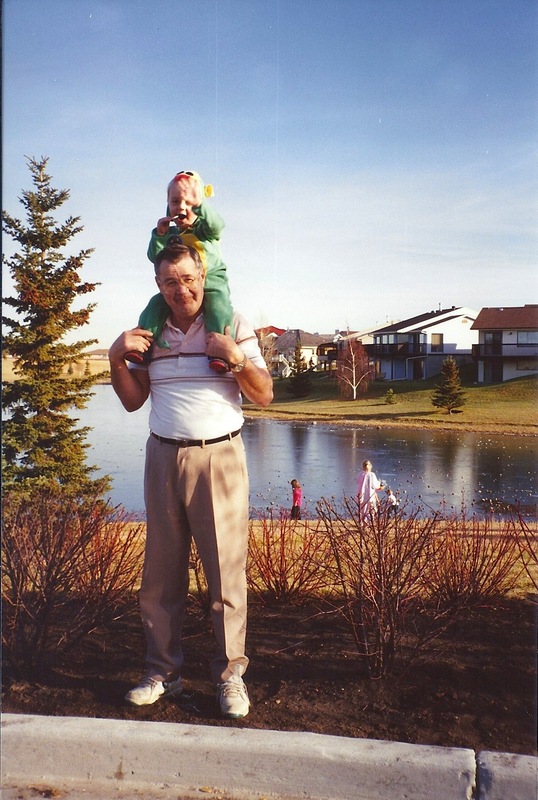 Alzheimer’s took a lot of Bob over the past few years, but it brought out an amazing gentleness and left us who knew him ironically focused on the memories of which the disease robbed our father, husband, grandfather, great grandfather and friend. We who loved him know that families are eternal and are greatly comforted by the knowledge that Bob had a very immediate reunion with his memory and his loved ones who had proceeded him in death. We’ll see you soon enough Bob. I was one of Bob’s scouters (in the photo). Thank you Bob for a life well lived in service. Your legacy will live on for generations. Bro. Gilson was such a wonderful man. He was my seminary teacher, sunday school teacher, frequent driver to girls camp and neighbor. We loved him. I also worked with him at the bakery at Debaji’s. He was loved by our entire family. He will be missed. I talk about my seminary years with him and the amazing things we learned from him. We weren’t the best behaved students and for a while we didn’t have a sunday school teacher. Bob came in and taught our class voluntarily without being asked or called to teach us. He would ask us three things we wanted to talk about. It didn’t even have to be church related and he would tie it into gospel related conversations and scripture references. He was an amazing teacher. I have so many memories of him at girls canp. He was an amazing friend to my Dad and they came to girls camp together to help. We love him and Marilyn. He will be missed but thanks to a Plan of Happiness we will see him again. I was in 7 th ward when I was reactivated and my wife joined the church in 1975. The Gilson’s were mentors and friends and our paths have crossed frequently in the ensuing decades. 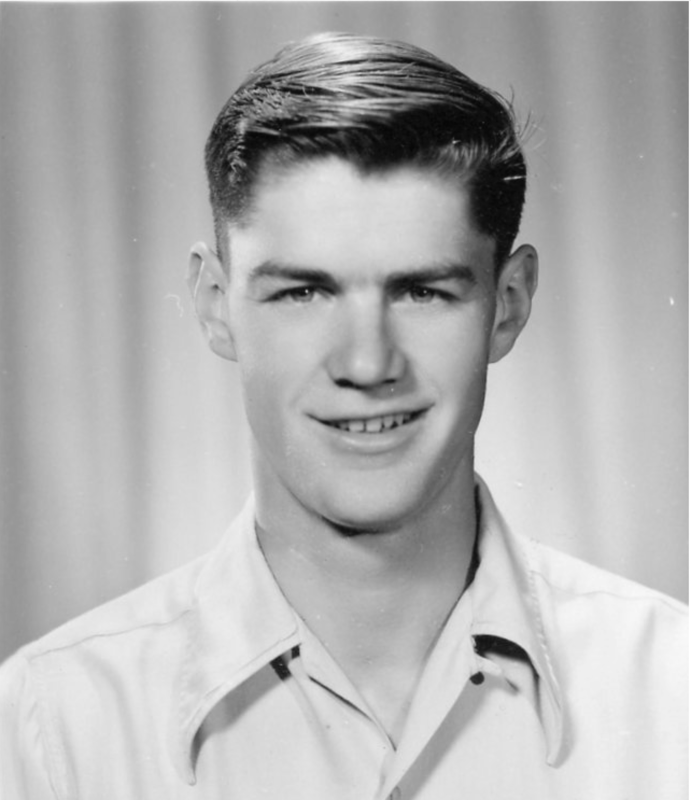 Bob was a Seventy in those days and fervently proclaimed the gospel. He coached my nephews in mini ball and was their scout and young men’s leader. 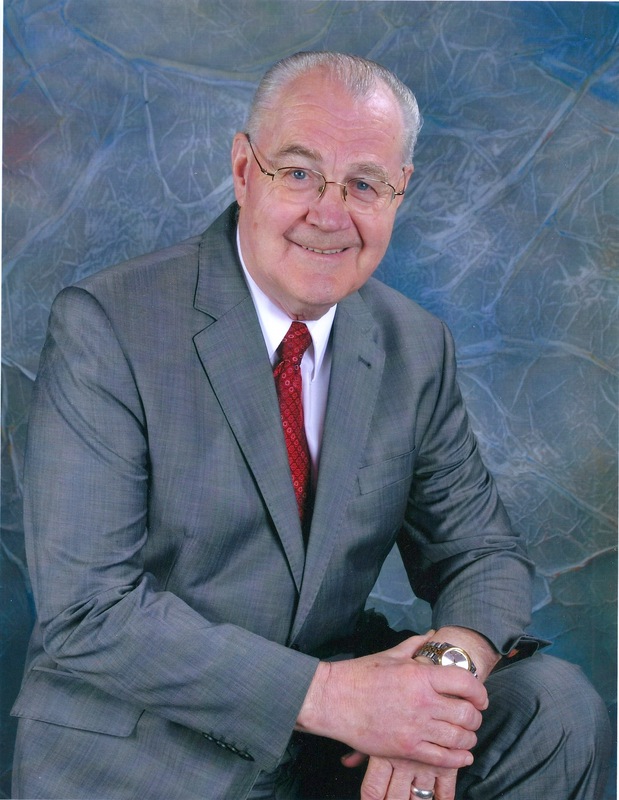 Bob leaves a legacy of commitment to Christ, love of family, and service to fellow man. Brother G remains a vivid part of my childhood memories. Whether it was bitty ball on Saturday mornings or teaching Aaronic priesthood on Sundays, or his diligence and skill as a scout leader, I will always remember him as a man of integrity, service and compassion. He made a significant difference in my life and I will always be grateful.